I recently worked with Julie Wait Fryauf, of Julie Wait Designs, to photograph the commercial kitchen she designed for George’s Inc. This is a shot from the informal tasting area in the kitchen. I love the repetition in the place settings and the chairs. 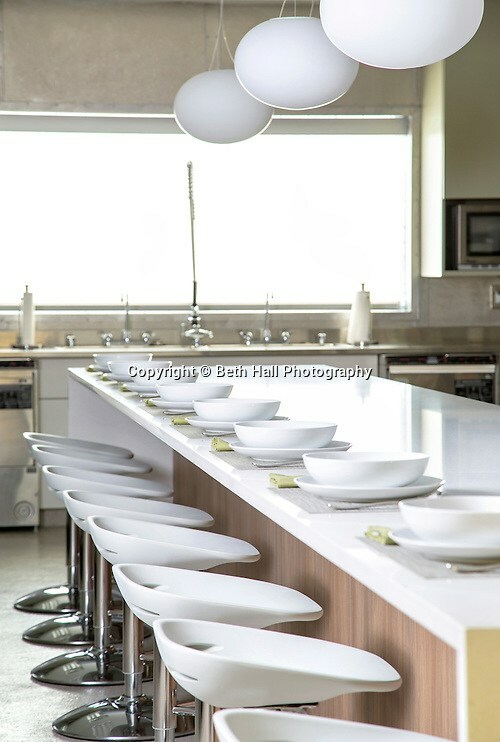 I’m also quite fond of all of the white… I love a clean, high-key look!